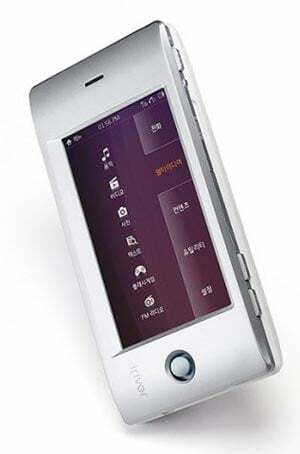 iRiver’s first mobile phone, the iRiver Wave is due to be released in March 2009. The iRiver Wave features a 3 inch touchscreen with a resolution of 480 x 272, built in WiFi, a PMP, an e-dictionary and an FM Radio. Storage comes in the form of 4GB which can be expanded via a miniSD card, it can play MP3, WMA, OGG and MPEG-4 files and measures 1105. x 52.5 x 15.5mm and weighs 103g. It is due to go on sale in Korea next year, as yet there is no word on when it will hit the US and Europe.